Yes – you can still open a bank account if you have a bad credit rating! This Vanquis Credit Card review should help you decide if this particular visa credit card meets your requirements. 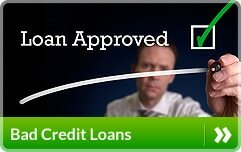 It is suitable for a variety of people living in the UK including many that have a poor credit history. We cover such things as how to apply, what the Visa credit card may be used for and what sort of limit you may get ^. 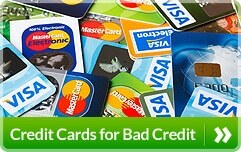 Where can you apply for a credit card for bad credit? You will be pleased to read that there are a number of issuers of credit cards for people with bad credit with one of them being Vanquis Bank Limited. Obviously, in view of the high interest rates charged by such companies, it is preferable that you clear your balance every month by the due date to avoid paying interest ^. Who can apply for a credit card from Vanquis? Applications will be considered as long as you are over the age of 18, are resident in the UK, have a landline telephone, don’t already have a Vanquis credit card and are not bankrupt. So, for instance, if you are employed, self-employed, unemployed, retired, a houseperson or a student then you may submit an application for consideration ^. How do you apply for a Vanquis Credit Card? There is an option to use their Express Check facility online. Having provided them with some personal information an initial indication is given usually within no more than one minute as to whether you are likely to be eligible. Then, you can apply fully online for a Vanquis card with the application and decision making process sometimes only taking a few minutes. They will undertake a credit reference search on you as part of their assessment process but even if you have a bad credit history you may be accepted. There is no application fee and no annual fee. What credit card limit are you given? Initially the credit limit could be anything between £150 and £1,000 ^. You could get a credit limit increase after your 5th statement and further increases every 5 months, up to £4,000 as long as your account has been well conducted *^. Where can you use the Vanquis Visa Credit Card? The card can be used where the Visa sign is displayed to purchase goods in shops, online or over the phone. You can book cinema and theatre tickets with it. You can withdraw cash from hole in the wall machines. You can use the card abroad as well as in the UK. 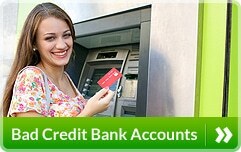 You can also arrange to transfer monies from your credit card account into your bank current account ^. The interest rate is Representative 39.9% APR (variable). The interest rate offered to you is dependent upon a number of factors such as the information contained on the application form and your credit history with the credit reference agencies^. The interest rate is higher than you would pay with a standard credit card typically offered by the major banks and building societies as the card is normally marketed at people that have a poor credit rating. How do you manage your Vanquis Credit Card ? You can elect to receive paper statements through the post or online. You can go online to check your statement and balance and you can make payments to reduce your credit card balance as and when you so wish by using your bank debit card. You can also make payments over the phone and set up a standing order to make regular payments. You can also receive periodic text messages about your Vanquis Visa Credit Card that include notifying you of your balance and when and how much the minimum payment required is ^. You can use the Vanquis Bank app through Android and Apple whilst you are out and about. It is also worth noting that, if maintained satisfactorily, it may be one way of improving your credit rating *^. After a period of time, you may qualify for a Vanquis Gold Card to replace the one you were originally issued with.